6 x 37 wire rope with I.W.R.C. 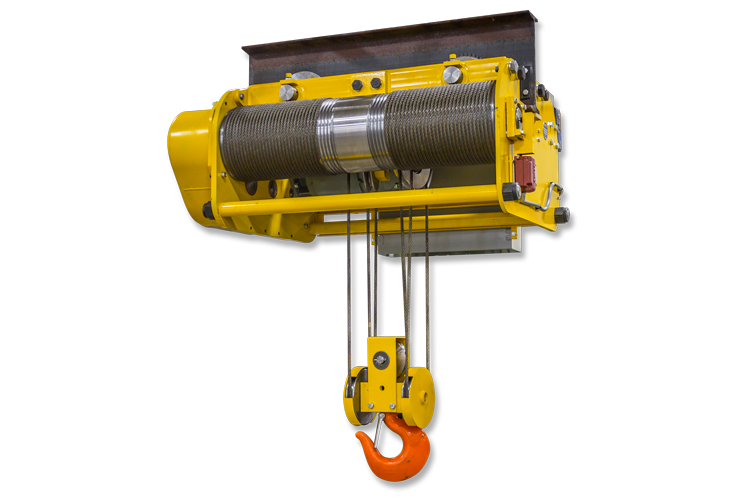 Hoist Weight with Tractor Drive 1100 lbs. 1100 lbs. 1515 lbs. 1515 lbs. 1735 lbs. 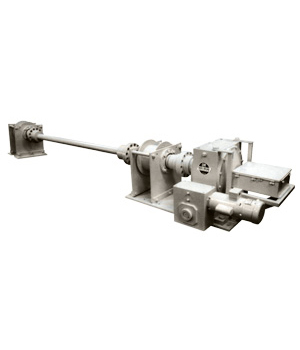 Designed with the assistance of foundry managers and casting line personnel, David Round’s line of hot melt hoists sets the standard for ladle handling hoist in manual and semi-automatic metal casting operations. 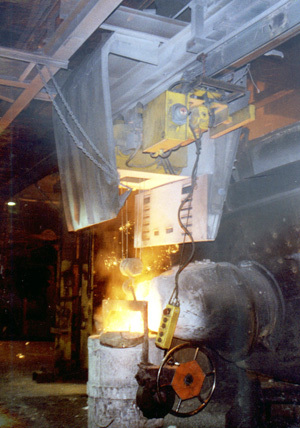 David Round’s hot melt hoists exceed industry expectations are built exclusively for safe and heavy-use in harsh foundry environments, unlike other hot melt hoists that are simply de-rated, higher capacity standard hoists with a few bells and whistles. 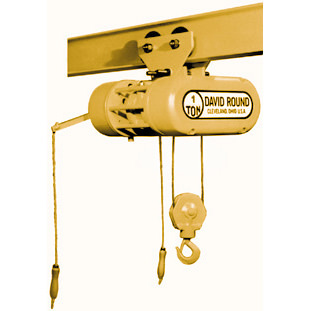 David Round’s hot melt hoists are available as standard units in capacities up to five tons. 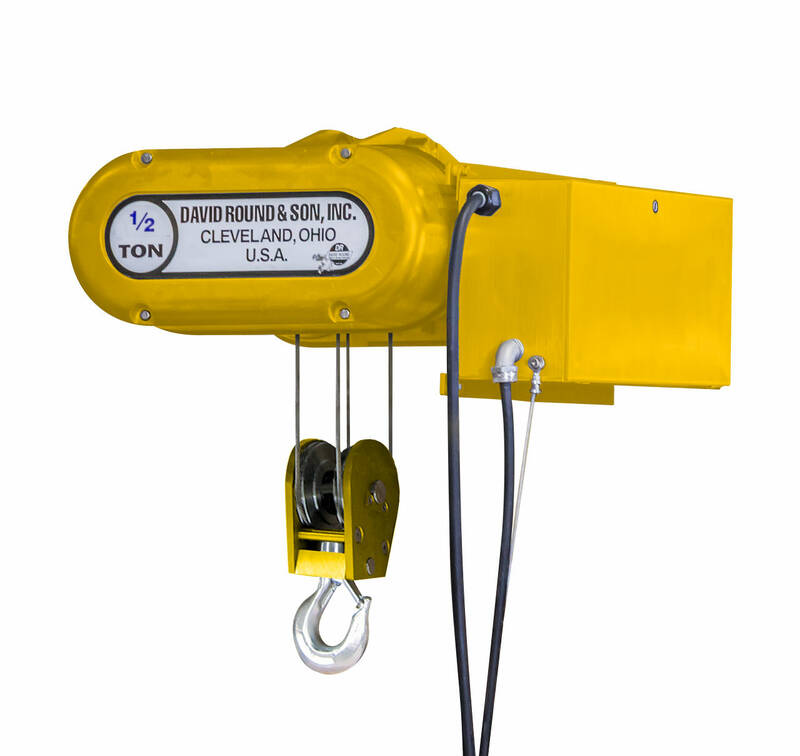 In addition to meeting required design factors, limit switch and other safety mandates, David Round’s hot melt hoists are equipped with a long list of standard features including low-headroom designs, true vertical lift, NEMA 4 enclosures, power disconnects, thermal overload relays and 60-minute class “H” motors.